As the Free Trade Agreement (FTA) with Georgia enters into force on Feb. 13 this year, the government of China’s Hong Kong Special Administrative Region (SAR) said Tuesday that it expects more Belt and Road opportunities with the help of the FTA. 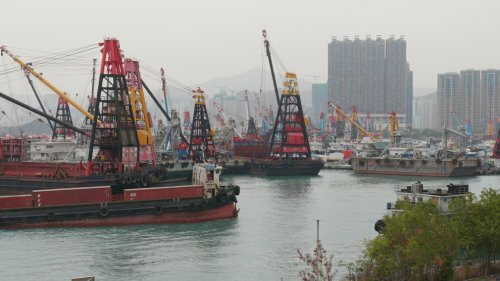 The FTA, signed on June 28, 2018 and covering trade in goods and services, admission of investment as well as dispute settlement mechanisms, is expected to give Hong Kong exporters and service providers the legal certainty of favorable treatment and market access to Georgia, the Hong Kong SAR government’s Trade and Industry Department said. As Hong Kong’s first FTA with a country in the Caucasus region, it is also seen as a pathway to markets in the region and along the Belt and Road route. "With Georgia being a gateway to the Caucasus, this agreement not only enhances trade and investment flows between Hong Kong and Georgia but also paves the way for the business community to tap into opportunities in the Caucasus under the Belt and Road Initiative," the Hong Kong SAR government’s Secretary for Commerce and Economic Development Edward Yau said. "To help Hong Kong enterprises and investors expand their markets and further reinforce Hong Kong’s status as an international trade and investment hub, we will continue our efforts in expanding our worldwide network of economic and trade connections through actively seeking to negotiate and forge FTAs and investment agreements with economies that have strong economic and trade connections with us, markets with development potential or at strategic locations, and like-minded trading partners," he said.